CULLMAN – Jacob Heatherly didn't have to wait long Tuesday to hear his name called in the Major League Baseball player draft. The recent Cullman High graduate was taken in the third round by the Cincinnati Reds. He was the second pick Tuesday, following pitcher Blayne Enlow of St. Armant High School, who was chosen by the Minnesota Twins. The approximate pick value, according to MLB.com for Heatherly, is $743,900. 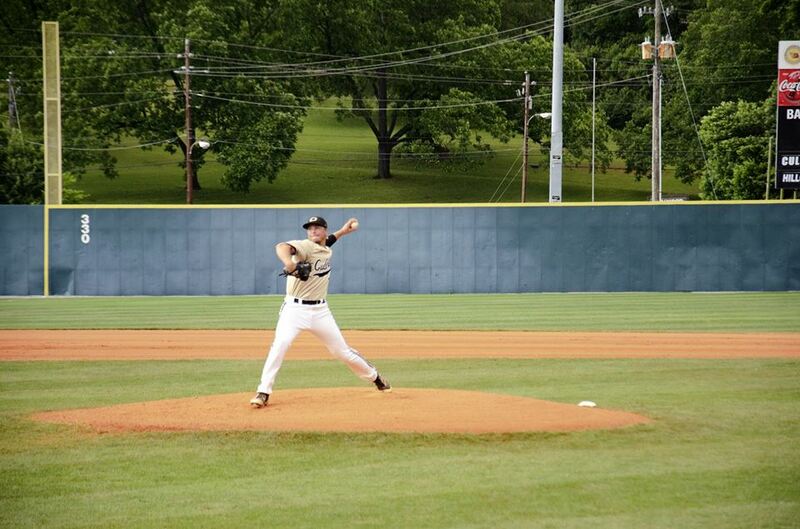 Heatherly is coming off a solid senior season for the Bearcats, posting a 10-1 record with a 1.11 earned run average. Heatherly struck out 166 batters on the season and dominated the opposition all season, especially the playoffs, going 5-0, winning the first game of the 6A state championship series over Helena. Heatherly's draft pick comes just two days after he was selected the Class 6A pitcher of the year by the Alabama Sportswriters Association. Heatherly is the third player from the Alabama High School Athletic Association to be drafted. Outfielder Bubba Thompson from McGill-Toolen in Mobile went 26th to the Texas Rangers, a first-round selection. Pitcher Caden Lemons of Vestavia Hills High School was chosen 46th overall. Lemons was a second-round selection for the Milwaukee Brewers. A former Cullman pitcher, now in the SEC, was taken in the third round too. Right hander Keegan Thompson of the Auburn Tigers was selected as the 105th overall pick. The former Cullman hurler was taken by the world champion Chicago Cubs. Thompson was the final pick of the third round. Thompson was 7-4 for the Tigers, getting a win in the NCAA Regional at Tallahassee on June 2 against Central Florida. Thompson threw a four-hitter and had a game-high nine strikeouts. Through five rounds, the top prep player in Alabama remained undrafted. Pitcher/infielder Tanner Burns from Decatur, who was voted Mr. Baseball by the state sportswriters Sunday, was waiting to have his name called. Burns and Heatherly faced each other on the mound in the quarterfinal round of the 6A playoffs May 15, with Heatherly and Cullman claiming a 2-1 victory. Burns has reported he will head to Auburn University if not a high pick in the MLB draft. Heatherly was committed to play at the University of Alabama. Heatherly was part of a program that finished second in Class 6A his junior and senior seasons. Cullman posted 89 wins between 2016 and 2017 against only 23 losses.